Have you ever wanted to feel as though you were on top of the world? Although it may not be the highest point on Earth, Brasstown Bald (also known as Enotah) is the highest point in all of Georgia, and it offers some truly incredible views to all who choose to visit this unique landmark. In addition to scraping the northern Georgia sky at an astounding 4,784 feet above sea level, Brasstown Bald enables travelers to take a look out upon 4 different states below. From this vantage point, you can challenge your family and friends to see who can spot Georgia, North Carolina, South Carolina, and Tennessee. Some of the best Helen hiking trails lead up to this point, with shorter and simpler options available for those looking for less of a trek to the viewpoint. This post will tell you everything that you need to know about hiking at Brasstown Bald and enjoying this Helen hot spot. For those who are planning to begin a hike from the visitor's center parking lot, you should be advised that a charge of $5 per vehicle will be required. 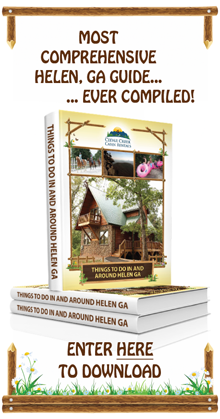 As the area surrounding the parking lot features numerous picnic areas, you might choose to bring a lunch to enjoy after walking the Helen hiking trails. Although there is a water fountain located at the visitor's center, be sure to bring water for the hike - especially if you will be arriving from access points at a lower elevation which can be quite strenuous. If there are travelers in your group with accessibility issues, there is a tram available which will take riders to the view point for an extra fee. Brasstown Bald is located just a hop, a skip, and a jump away from your cabin in Helen. Although some of the more challenging trailheads are situated at various access points, it's most common for travelers to arrive at the park via the visitor's center. Simply take the GA-17 N/Unicoi Turnpike and make a right onto State Route 180 Spur North. A spacious parking lot is located at the end of the road. The shortest, simplest, and most heavily traversed trail to the summit of Brasstown Bald is the .6 mile access road that leads from the visitor's center to the viewing point. Although the trail is paved and is not long, visitors should be aware that it is quite steep, with 500' of elevation gain. Except for during the warmest days of summer, you might consider bringing a jacket to compensate for cooler temperatures at the higher altitude, and appropriate shoes should be worn for comfort. For some more exercise after viewing the summit, you might want to check out the Wagon Trail. As you descent from the top, follow the path that veers to the left to a gate at the end of the road that marks the beginning of Wagon Trail. While the path is wide, compact, and easy to traverse, be prepared for a 7 mile round trip journey. 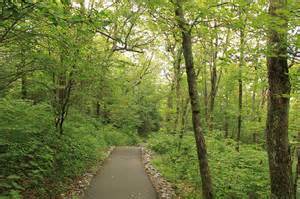 Featuring a wide range of flora, fauna, and spectacular views, the path is well worth the time and effort and comes to an end behind the woman's dorm at Young Harris College (of course, your hike could begin here, as well). Jack's Knob trail is a great pick for hikers with a bit more stamina, as it features a 1780' elevation gain during the 6 mile round trip. The path actually runs parallel to the road at Jack's Gap, near the 180 spur, which leads up to the parking are of Brasstown Bald, coming in at the parking lot before the final 500' ascent to the summit is achieved. Arkaquah Trail is the longest and most challenging of the Brasstown Bald-area Helen hiking trails. Beginning at the Track Rock archeological area (off of Route 76), the path is 11 miles long, round trip, and features 2,500' of elevation gain before reaching the viewing area at the mountain's summit. 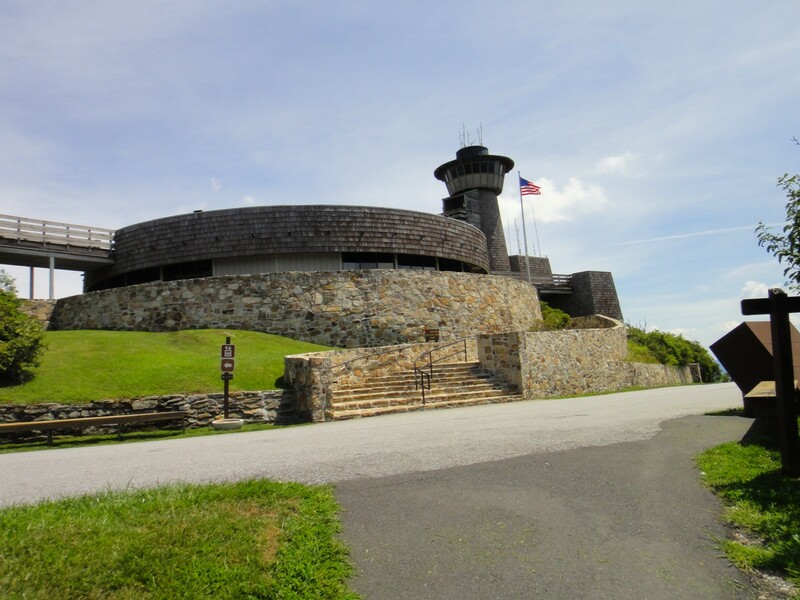 Once you reach the summit of Brasstown Bald, you'll want to know what to look out for from the 360-degree panoramic viewing area. Turning your attention just slightly North of due East, you'll be able to spot Rabun Bald, which is the second highest mountain in Georgia. Blood Mountain is situated a bit South of due West. By focusing due West of the Center, you'll notice the beautiful Cohutta Mountains. You may also find it's worth the trek to visit the beginning of the Wagon Trail in order to gaze upon the only "cloud forest" in the state of Georgia. Have you conquered Brasstown Bald and its adjacent Helen hiking trails? Share the tales of your triumph along with tips for future adventurers in the comments section.